Leather fashion accessory vector graphics. Realistic wallet with small metallic button and leather strap for closing. Elegant wallet design with bright color stitches. Free vector graphics for fashion, style, accessories, leather goods and everyday objects. 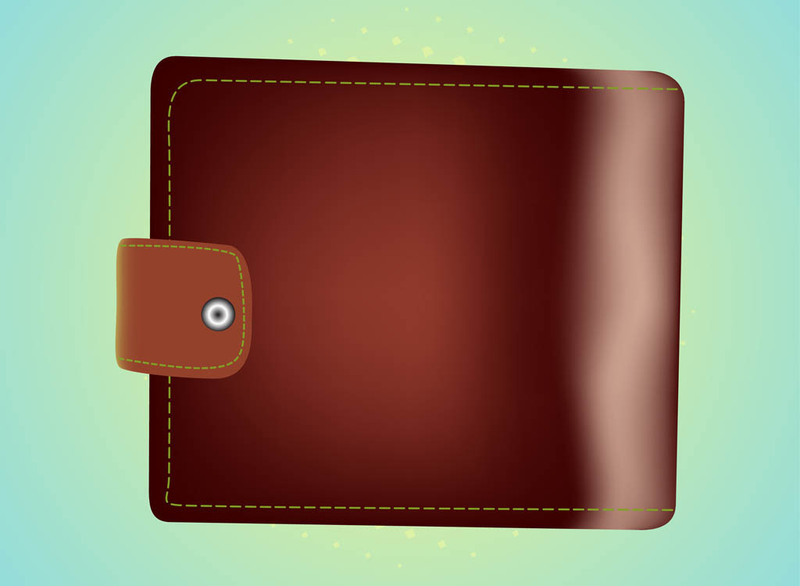 Wallet image for money, savings, wealth and salary designs. Tags: Accessory, Button, Detailed, Fashion, Leather, Metal, Stitches.